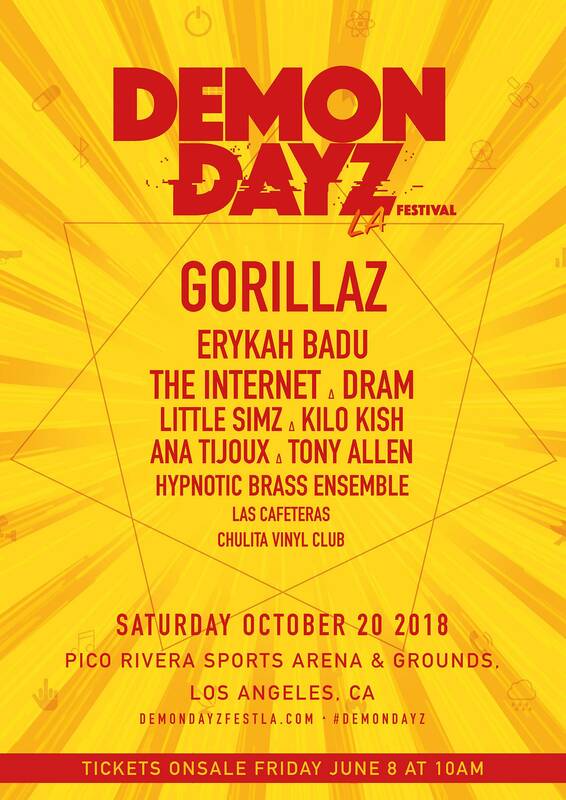 Gorillaz have announced the lineup for their second annual Demon Dayz Festival. Erykah Badu, the Internet, DRAM, Kilo Kish, Little Simz, and more are slated to perform. Unlike last year, which was held at the Dreamland amusement park in Margate, England, this year’s event will be held at the Pico Rivera Sports Arena & Grounds in Los Angeles on October 20. Check out a flyer with the full lineup below and find tickets here. Gorillaz recently announced their new album The Now Now, which is out June 29. Thus far, they’ve shared two new tracks from the project: “Humility” (featuring George Benson) and “Lake Zurich.” The Now Now follows 2017’s Humaz.